Death is a catastrophe for man; this is the basic principle of the whole of Christian anthropology. Man is an amphibious being, both spiritual and corporeal, and so he was created by God. Body belongs organically to the unity of human existence. And this was perhaps the most striking novelty in the original Christian message. The preaching of the Resurrection as well as the preaching of the Cross was foolishness and a stumbling–block to Gentiles. St. Paul had already been called a “babbler” by the Athenian philosophers just “because he proclaimed to them Jesus and the resurrection” (Acts XVII:18, cf. v.32). The Greek mind was always rather disgusted by the body. The attitude of an average Greek in early Christian times was strongly influenced by Platonic or Orphic ideas, and it was a common opinion that the body was a kind of a “prison”, in which the fallen soul was incarcerated and confined. The Greeks dreamt rather of a complete and final disincarnation. And the Christian belief in a coming Resurrection could only confuse and frighten the Gentile mind. It meant simply that the prison will be everlasting, that the imprisonment will be renewed again and for ever. The expectation of a bodily resurrection would befit rather an earthworm suggested Celsus, and he jeered in the name of common sense. He nicknamed Christians a “philosomaton genos”, a “flesh–loving crew” (ap. Origen, Contra Celsum, V:14 and VII:36). The great Plotinus was of the same opinion. “The true awakening is the true resurrection from the body, not with the body. For resurrection with the body would be simply a passage from one sleep to another, to some other dwelling. The only true awakening is an escape from all bodies, since they are by nature opposite to the nature of the soul. Both the origin, and the life and the decay of bodies show that they do not correspond to the nature of the souls” (Plotinus, Ennead. III: 6:6). St. John Chrysostom commented: “He deals a death–blow here to those who depreciate the physical nature and revile our flesh. It is not flesh, as he would say, that we put off from ourselves, but corruption. The body is one thing, corruption is another. Nor is the body corruption, nor corruption the body. True, the body is corrupt, but it is not corruption. The body dies, but it is not death. The body is the work of God, but death and corruption entered in by sin. Therefore, he says, I would put off from myself that strange thing which is not proper to me. And that strange thing is not the body, but corruption. The future life shatters and abolishes not the body, but that which clings to it, corruption and death” (De resurr. mortuorum, 6). St. Chrysostom, no doubt, gives here the common feeling of the Church. “We must also wait for the spring of the body”, as a Latin apologist of the 2nd century put it, “expectandum nobis etiam et corporis ver est” (Minutius Felix, Octavius, 34). One Russian writer, speaking of the catacombs, aptly recalls these words. “There are no words which could better render the impression of jubilant serenity, the feeling of rest and unbound peacefulness of the early Christian burial place. Here the body lies, like wheat under the winter shroud, awaiting, anticipating and foretelling the otherworldly eternal Spring” (V. Ern, Letters on Christian Rome, 1913). This was the simile used by St. Paul. “So also is the resurrection of the dead. It is sown in corruption: it is raised in incorruption” (I Cor. 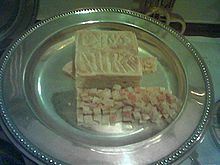 XV:42). The earth, as it were, is sown with human ashes in order that it may bring forth fruit, by the power of God, on the Great Day. “Like seed cast on the earth, we do not perish when we die, but having been sown, we rise” (St. Athanasius, De Incarnatione, 21). Each grave is already the shrine of incorruption. The resurrection, however, is no mere return or repetition. The Christian dogma of the General Resurrection is not that eternal return which was professed by the Stoics. 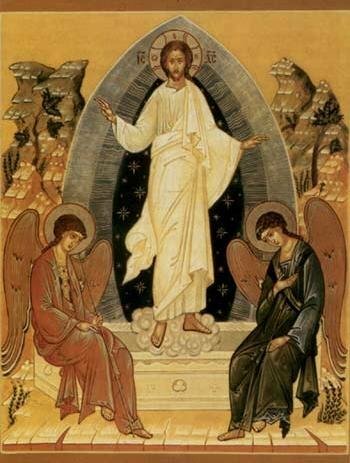 The resurrection is the true renewal, the transfiguration, the reformation of the whole creation. Not just a return of what had passed away, but a heightening, a fulfillment of something better and more perfect. “And that which thou sowest, thou sowest not that body which shall be, but bare grain… It is sown a natural body; it is raised a spiritual body” (1 Cor. XV:37, 44). A profound change will take place. And yet the individual identity will be preserved. St. Paul’s distinction between the “natural” body (“soma physikon”) and the “spiritual” body (“soma pneumatikon”) obviously calls for a further interpretation. And probably we have to collate it with another distinction he makes in Phil. 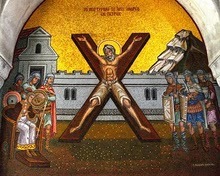 III:21: the body “of our humiliation and the body of His glory”… Yet the mystery passes our knowledge and imagination. “It has not yet appeared what we shall be” (I John III:2). But as it is, Christ has risen from the dead, the first–fruits of those who have fallen asleep (I Cor. XV:20). 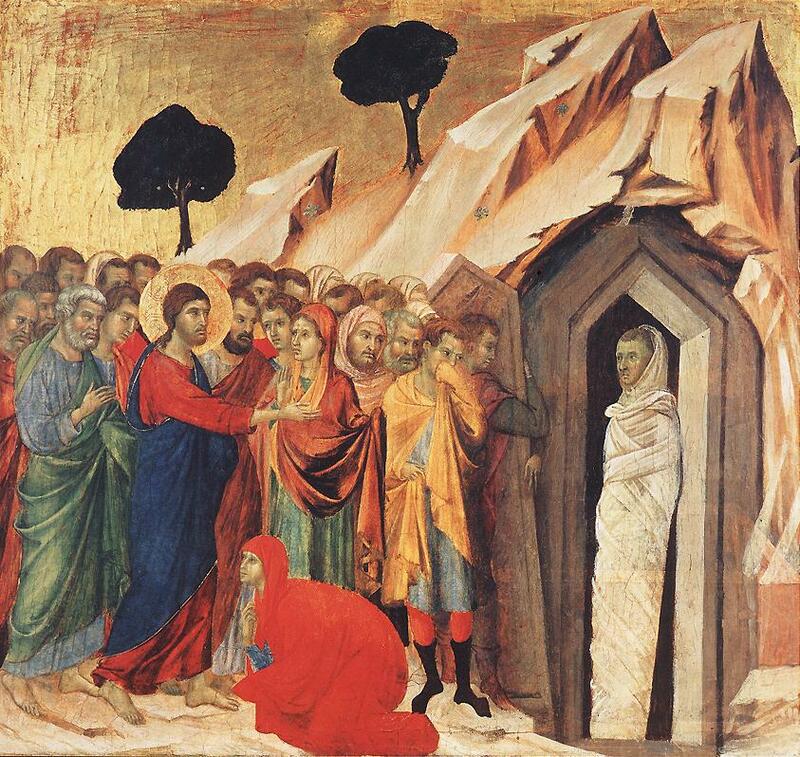 The great “three days of death”, triduum mortis, were the mysterious days of the Resurrection. As it is explained in the Synaxarion of that day. 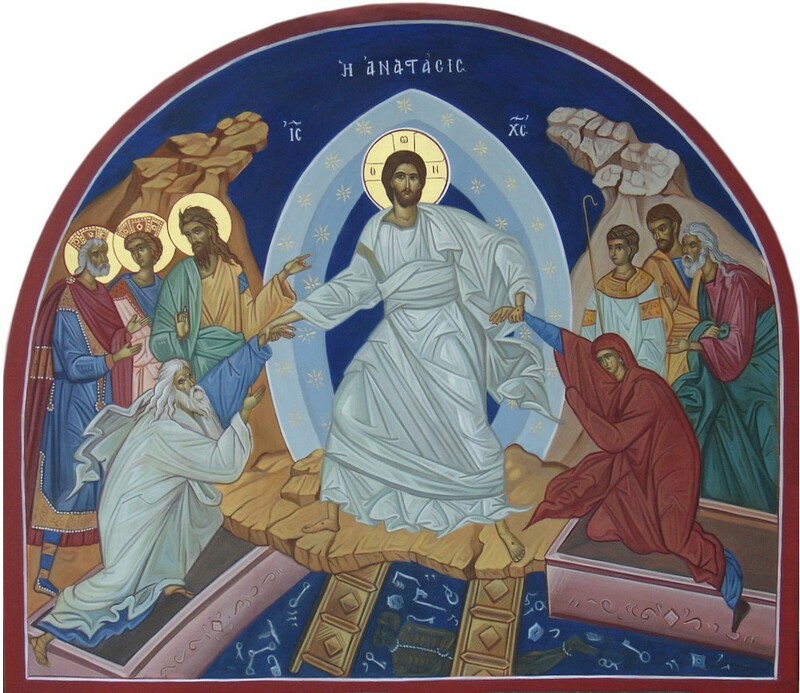 “On Great and Holy Saturday do we celebrate the divine — bodily burial of Our Lord and Saviour Jesus Christ and His descent into Hades, by which, being called from corruption, our race passed to life eternal. This was not merely the eve of salvation. It was already the very day of salvation. “This is the blessed Sabbath, this is the day of rest, whereon the only Begotten Son of God has, rested from all His deeds” (Matins of Good Saturday). In His flesh the Lord is resting in the grave, and His flesh is not abandoned by his Divinity. “Though Thy Temple was destroyed in the hour of the Passion, yet even then one was the Hypostasis of Thy Divinity and Thy flesh” (Matins of Good Saturday, Canon, 6th canticle, 1st troparion; the canon is by Cosmas of Maioum). The Lord’s flesh does not therefore suffer corruption, for it abides in the very bosom of the Life, in the Hypostasis of the Word, Who is Life. And in this incorruption the Body has been transfigured into a state of glory. The body of humiliation has been buried, and the body of the glory rose from the grave. In the death of Jesus the powerlessness of death over Him was revealed. In the fullness of His human nature Our Lord was mortal. And He actually died. Yet death did not hold Him. “It was not possible that He should be holden of it” (Acts II:24) As St. John Chrysostom puts it, “death itself in holding Him pangs as in travail, and was sore beset…, and He so rose as never to die” (in Acta, hom. VII; cf. the Consecration — Prayer in the Liturgy of St. Basil). He is Life Everlasting, and by the very fact of His death He destroys death. His very descent into Hades, into the realm of death, is the mighty manifestation of Life. By the descent into Hades He, as it were, quickens death itself. In the first Adam the inherent potentiality of death by disobedience and fall was actualized and disclosed. In the second Adam the potentiality of immortality by obedience was sublimated and actualized into the impossibility of death “for as in Adam all die, even so in Christ shall all be made alive” (I Cor. XV:2). The whole fabric of human nature in Christ proved to be stable and strong. The disembodiment of the soul was not consummated into a rupture. Even in common death of man, as St. Gregory of Nyssa pointed out, the separation of soul and body is never absolute: a certain connection is still there. In the death of Christ this connection proved to be not only a “connection of knowledge”: His soul never ceased to be the “vital power” of the body. Thus this death in all its reality, as a true separation and disembodiment, was rather like a sleep. “Then was man’s death shown to be but a sleep” as St. John of Damascus says (Office for the Burial of a Priest, Stikhira idiomela by St. John of Damascus). The reality of death is not yet abolished, but its powerlessness is revealed. The Lord really and truly died. But in His death in an eminent measure the “dynamis of the resurrection” was manifest, which is latent in every death. To His death the glorious simile of the corn of wheat can be applied to its full extent (John XII:24). In the body of the Incarnate One the interim between death and resurrection is foreshortened. “It is sown in dishonor: it is raised in glory: it is sown in weakness: it is raised in power; it is sown a natural body: it is raised a spiritual body” (I Cor. XV: 43–44). In the death of the Incarnate One this mysterious growth of the seed was consummated in three days: Triduum mortis. “He suffered not the temple of His body to remain long dead, but just having shown it dead by the contact of death, straightway raised it in the third day, and raised with it also the sigh of victory over death, that is, the incorruption and impassibility manifested in the body”. In these words St. Athanasius brings forward the victorious and resurrecting character of the death of Christ (De Incarnatione, 26). In this mysterious “triduum mortis”, the body of Our Lord has been transfigured into a body of glory, and has been clothed in power and light. The seed matures. And the Lord rises from the dead, as a Bridegroom comes forth from the chamber. This was accomplished by the power of God, as also the General Resurrection will in the last day be accomplished by the power of God. And in the Resurrection the Incarnation is completed and consummated a victorious manifestation of Life within human nature, a grafting of immortality into the human composition. The Resurrection of Christ was a victory not over His death only, but over death in general. 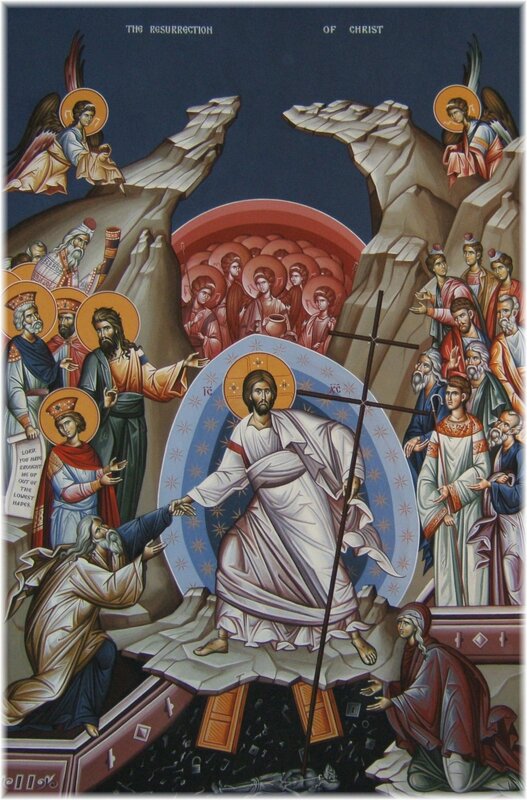 “We celebrate the death of death, the downfall of Hades, and the beginning of a life new and everlasting” (Easter Canon 2nd canticle, 2nd troparion). In His resurrection the whole of humanity, all human nature, is co‑resurrected with Him: “the human race is clothed in incorruption”. Co‑resurrected — not indeed in the sense that all are actually raised from the grave: men do still die. But the hopelessness of dying is abolished: death is rendered powerless. St. Paul is quite emphatic on this point. “But if there be no resurrection of the dead, then is Christ not risen… For if the dead rise not, then is not Christ risen” (I Cor. XV: 13, 16). St. Paul obviously meant to say that the Resurrection of Christ would become meaningless if it were not a universal accomplishment, if the whole Body were not implicitly “pre–resurrected” with the Head. And faith in Christ itself would lose any sense and become empty and vain: there would be nothing to believe in. “And if Christ be not risen, your faith is vain” (v. 17). Apart from the hope of the General Resurrection, belief in Christ itself would be vain and to no purpose; it would only be vainglory. “But now is Christ risen”… and herein lies the victory of Life. 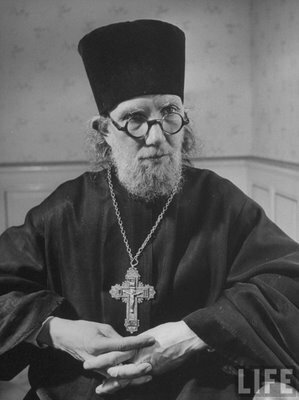 “It is true, we still die as before, says St. John Chrysostom, but we do not remain in death; and this is not to die… The power and very reality of death is just this, that a dead man has no possibility of returning to life… But if after death he is to be quickened and moreover to be given a better life, then this is no longer death, but a falling asleep” (In Hebrews, hom. XVII,2). The same conception is found in St. Athanasius. The “condemnation of death” is abolished. 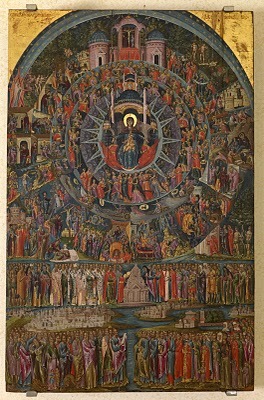 “Corruption ceasing and being put away by the grace of Resurrection, we are henceforth dissolved for a time only, according to our bodies’ mortal nature; like seeds cast into the earth, we do not perish, but sown in the earth we shall rise again, death being brought to nought by the grace of the Saviour” (De Incarnatione, 21). All will rise. From henceforth every disembodiment is but temporary. The dark vale of Hades is abolished by the power of the life–giving Cross. St. Gregory of Nyssa strongly stresses time organic interdependence of the Cross and the Resurrection. He makes two points especially: the unity of the Divine Hypostasis, in which the soul and body of Christ are linked together even in their mortal separation and the utter sinlessness of Christ. And then he proceeds: “When our nature following its proper course, had even in Him been advanced to the separation of soul and body, He knitted together again the disconnected elements, cementing them together, as it were, with a cement of His Divine power, and recombining what was severed in a union never to be broken. And this is the Resurrection, namely the return, after they have been dissolved, of those elements that have been before linked together, into an indissoluble union through a mutual incorporation; in order that thus the primal grace which invested humanity might be recalled, and we restored to the everlasting life, when the vice that has been mixed up with our kind has evaporated through our dissolution… For as the principle of death took its rise in one person and passed on in succession through the whole of human kind, in like manner the principle of the Resurrection extends from one person to the whole of humanity… For when, in that concrete humanity which He had taken to Himself, the soul after the dissolution returned to the body, then this uniting of the several portions passes, as by a new principle, in equal force upon the whole human race. This then is the mystery of God’s plan with regard to His death and His resurrection from the dead” (Orat. cat. 16). In other words, Christ’s resurrection is a restoration of the fullness and wholeness of human existence, a re–creation of the whole human race, a “new creation”. St. Gregory follows here faithfully in the steps of St. Paul. There is the same contrast and parallelism of the two Adams. The General Resurrection is the consummation of the Resurrection of Our Lord, the consummation of His victory over death and corruption. And beyond the historical time there will be the future Kingdom, “the life of the age to come”. Then, at the close, for the whole creation the “Blessed Sabbath”, the very “day of rest”, the mysterious “Seventh day of Creation”, will be inaugurated for ever. The expected is as yet inconceivable. But the pledge is given. Christ is risen.